You can choose from many different types of roofing when it comes time to install a new roof on your home. 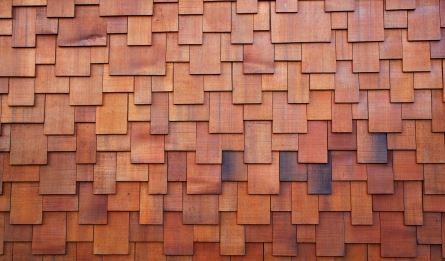 One of your options is cedar shake, which is a kind of roofing that will make the exterior of your house look rustic. Whether you prefer red, brown, or gold cedar shake, you can totally transform your home’s appearance and enjoy a bunch of great benefits that come along with having a cedar shake roof. Check out some of them below. The weather can wreak havoc on a roof. Wind can blow shingles all over the place, the sun can beat down on a roof and force it to fade and heavy rain and snow can compromise the integrity of it. However, when you have a cedar shake roof, you won’t really have to worry about any of these things since cedar shake is very resistant to the weather. It can deal with moisture, UV rays, and even insects that might try to damage it. It will stand up to whatever Mother Nature throws its way. Cedar is one of the toughest woods on the planet. So why not put it in the one place on your home where you will definitely value the strength it will provide? Cedar shake roofs are built to last, and they will prove their durability over time. You will get the peace of mind that comes along with having a strong roof over your head when you opt for cedar shake. Outside of providing strength, cedar is also known for being a natural insulator, which comes in handy when you install it on a roof. During the summer, your home will be cooler because of your cedar shake roof, and in the winter, it will stay warmer. You can expect to see your heating and cooling costs go down significantly when you rely on cedar shake roofing. Does a cedar shake roof sound like a good option for you? Let Roofing by Bruce tell you more about installing one. Call us at 570-424-7250 today to hear about why cedar shake is such a good choice.